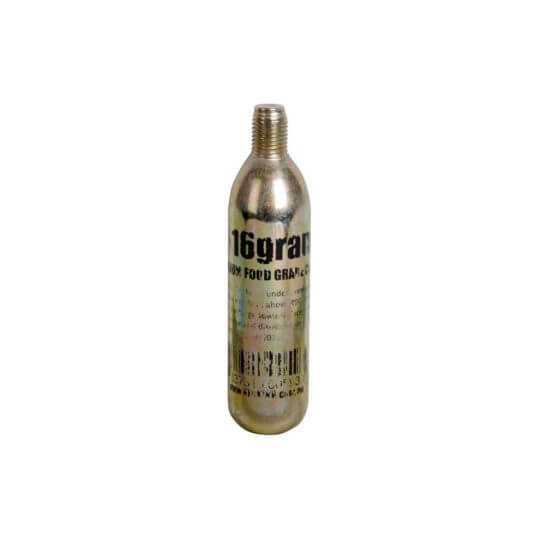 Standard 16 g CO2 cartridge for handheld keg chargers as well as portable mosquito traps, soda chargers, tire inflators, and gas tools. 3/8″ threaded end fits virtually every handheld charger designed for 16 g canisters. Adapters are available to use these cartridges in chargers designed for 74 g canisters.